Every installation large or small is completed with the same degree of work ethics. Over the years Accurate Degree Inc. has earned an outstanding reputation for quality, service and value. Our training continues through out the year to keep up with latest technology. When we come to your home or business your comfort is our main concern. For those customers that are installing new equipment or upgrading their existing system, we will perform a heat loss/ heat gain load calculation for your home or business. 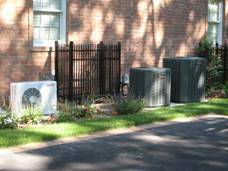 This will accurately determine the right size equipment for your heating or cooling needs. In turn this will give you greater comfort, lower energy cost and you will not be paying extra for incorrectly oversized equipment. 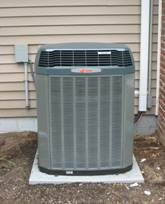 Established in 2002, Accurate Degree Inc. started as a air conditioning and heating installation/ service company. Over the years, our reputation as skilled, dependable and a honest company we acquired customers through referrals. We can proudly say this company has grown through pride and dedication to provide the best service to our customers. At Accurate Degree Inc. we work hard to make sure our customers are completely satisfied. Our Satisfaction Guarantee includes: Priority service for existing customers; no charge for covered labor and part warranty as per manufacture’s written warranty; no-charge warranty service calls for the first 12 months after installation by Accurate Degree Inc.